​This is a comprehensive guide for charities wanting to get the most out of their current website. It is based on a seminar from the FSI annual conference, part of the FSI’s broad range of services for charities. This is a comprehensive guide for charities wanting to get the most out of their current website. It is based on a seminar from the FSI annual conference, part of the FSI’s broad range of services for charities. At the heart of most small charity websites is a desire to raise awareness of the charity’s work, raise funds through donations or funding and demonstrate impact. A good website will help your charity do all of these things. If your current website is not performing you may think you need a new website. Maybe you do, but you might be surprised what you can do with your current website. This guide provides eight actionable areas in which you can improve your current website. You may have defined your key audience groups when your website was first created but not reviewed them since. Keeping clear about who you are targeting with your website is an important first step and will make sure all your content is relevant. Whenever you create new content, check that it is useful to your audience. Here is an example from national charity Phoenix Futures. Be specific: define clear groups of people that don’t (if possible) overlap. Avoid demographic groupings and focus on a person’s role or capacity such as volunteer or service user. Prioritise: A long list of different audiences will make it hard to know what content to produce. Choose your top 4 audience groups and place them in priority order. You can still provide content for non-priority groups but you’ll know you can afford for it to be a bit harder to find. 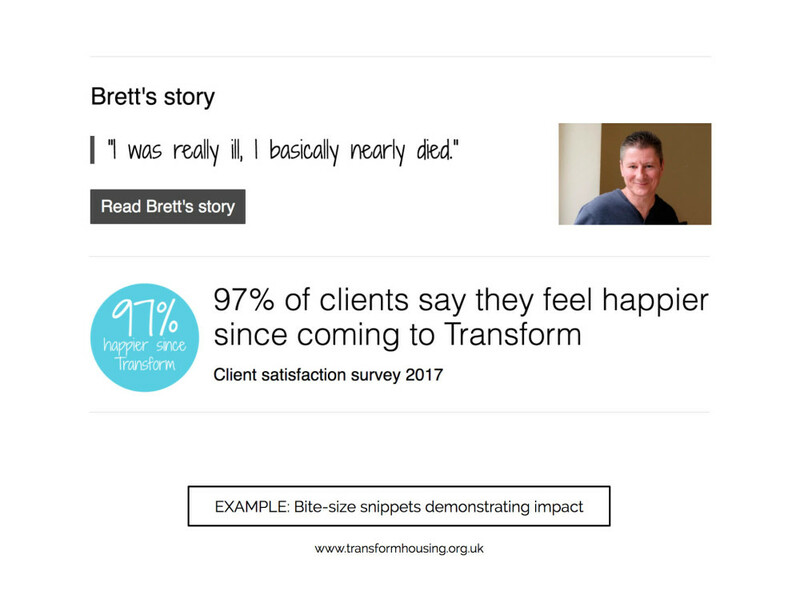 If you can demonstrate your impact by telling stories about real people, real statistics and real change you will be much closer to encouraging your visitors to take action. It’s easy to revert to talking about yourself. You know a lot about your own organisation and you find it interesting. It’s more important to talk about the impact that your work has on other people. If you’re trying to communicate with potential service users, you need to show that you have made a difference in the lives of other people like them, with whom they can relate. Many charities have more resources on impact than they realise. You may have had to report on this to funders or trustees but this information may be hidden in reports that are not easy for website visitors to find or read. Start by reviewing this content and considering how to simplify or summarise it for easy presentation online. This process will take much less time that starting from scratch. Once you have identified good content that demonstrates your impact, you need to decide how to present it. Don’t be tempted to take the easy approach and just add to one page in plain text. Break your content into bite-sized snippets that can be placed throughout your website on pages that you know are popular. You don’t need large budgets or expert designers to make an impact with photos. Here are some tips on how to make the most of photos on your website. If you’ve got a small budget there are millions of photos online and there are lots of free and cheap stock libraries that make it easy to search for the right image. The key is to define your search criteria. Be specific and think laterally to unearth fresh possibilities. Combining images with text is a very powerful way to send a message. If you have a reasonable budget, pay a photographer for a day. Plan your photoshoot carefully to make sure the images will work on your website. Often this means not shooting too close up, leaving background that can be cropped away to create the right composition. If you’ve got no budget, source real photos from your clients, volunteers and partners. 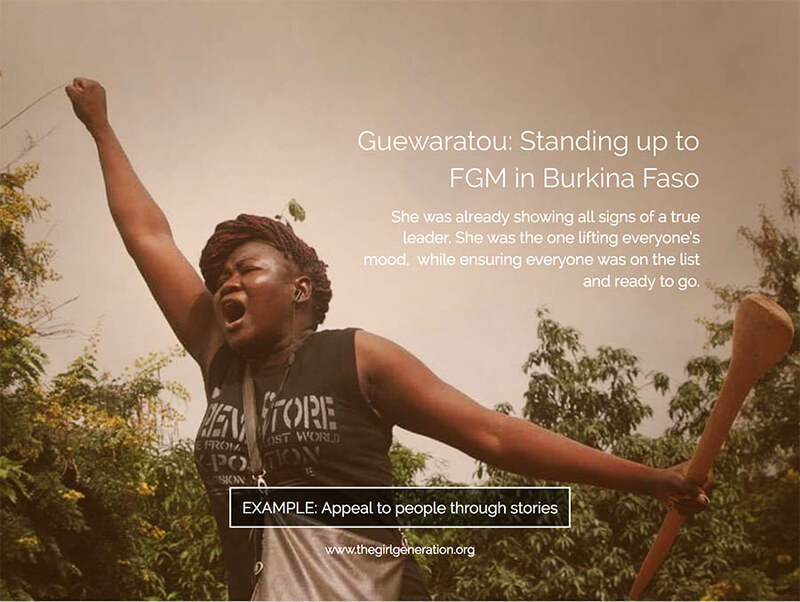 The beauty of amatuer photos is that they help to give your cause authenticity. Combining amatuer photos with good online storytelling is often a great recipe. Taking time to find a simple image editing tool is worthwhile. If you can learn to crop and resize images you will be able to have much greater control over the composition of banners or featured areas of your website, especially when they are combined with text. 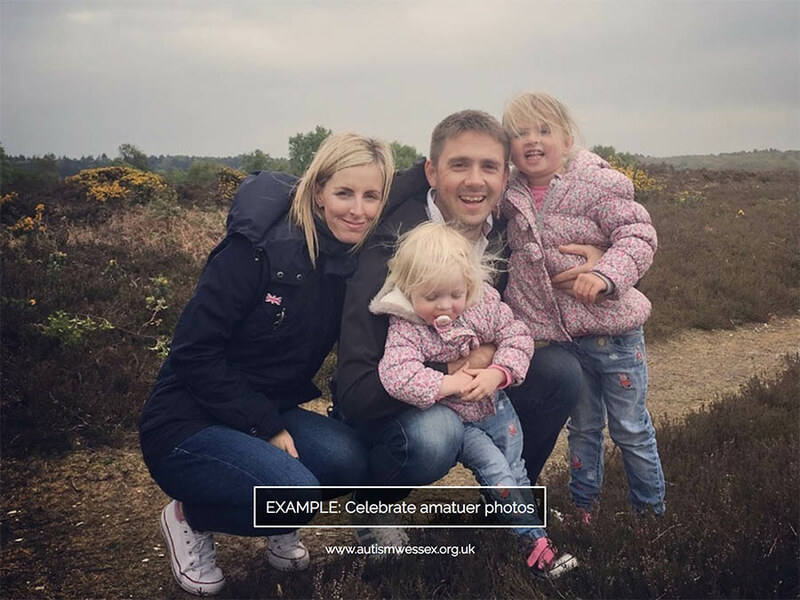 This amatuer photo heads up a client story on the Autism Wessex website about how 16-month old Rose suffers from Febrile Seizures which affects around 1 in 50 children her age. The story is real and heart warming. It’s easy to get caught up on how your website looks and think you need a whole new website. Often simply reviewing the menu structure can have a huge impact on how user-friendly your website is. Get some non-staff members to spend a few minutes browsing your website while you are watching. Don’t say anything. Ask them to verbally process as they go. You will be surprised at how insightful this can be. Spend some time in Google Analytics to see which sections people actually use. More on that later. Limit menus to 7 options. This may involve more grouping than you have previously done but it will have an immediate impact on the simplicity of the navigation. Describe content not users. There are always exceptions to this but in general it’s better to describe what is in the section and let the user decide where their interest lies. Create an overview page for each section. Use this to summarise the content in subpages and link through to them. Break up very long pages into multiple levels. Keep each page focussed on one thing and link to related pages if needed. Limit depth to three levels. Having 7 options at each level and 3 levels deep amount to 400 pages in total. You shouldn’t need more than this. In order for your website to be successful you need to enable and encourage your users to take action. The actions you provide on your website should directly help to meet your objectives. These actions should be specifically targeted at your priority audience groups. If your top priority audience group is prospective donors, include a highlighted donate button in your header. If it’s prospective service users, provide plenty of ways to get in touch including a helpline phone number. Always prioritise an easy user experience over streamlining your own admin in the first instance. For example, if your aim is to increase expressions of interest for volunteering, make the form as simple as possible. Only ask for their name, email and phone number to encourage enquiries. You can then follow up in person to find the right opportunity for them. Only once you’re inundated with form submissions should you think about raising the barrier to entry a little. Every page on your website should contain one nice, big, clear next action, at most two or three choices. Don’t hide important links in paragraphs of text with little ‘click here’ labels. Make the actions big and bold and spell the action out directly in the button. People should be able to come back to a page they previously read and immediately see how to take action. The majority of your users will access your website via a Google search so it pays to understand how Google works and how to get good treatment. First you need to understand the difference between branded and non branded keywords. Ranking highly for a search of your organisations name should not be that difficult and shouldn’t need to be a core park of the SEO strategy. The larger opportunity for you is to rank for keywords search for by people who have never heard of you before. Finding out which keywords are most popular is quite difficult because Google doesn’t disclose this information very readily. There are some SEO tools available that do provide this information at a small cost so you can learn what strategy to take. Look for keywords that are relevant to your target audience and get lots of traffic. Once you know the keywords you want to target, you need to demonstrate to Google that you are worthy of being highly ranked in their search results for these terms. There are no quick fixes for this; you have to create high quality, relevant content that actually contains the keywords in question. You’ll need to audit your content with specific keywords in mind and inject them into your titless and page content in a way that still feels natural when read by a human. Make sure you have pages that cover all the topics that relate to your target keywords. There are two types of links to consider: internal and inbound. Internal links are the links from page to page within your website. These are more important than many charities realise. Ensure your website is a tightly networked web where every page is carefully promoting other content. Inbound links are also important because they have a dual benefit. First they will drive traffic from the external website into your site by people clicking the links. Second they will improve your reputation with Google because it will see those inbound links and treat them as an affirmation of the quality of the content on your website. 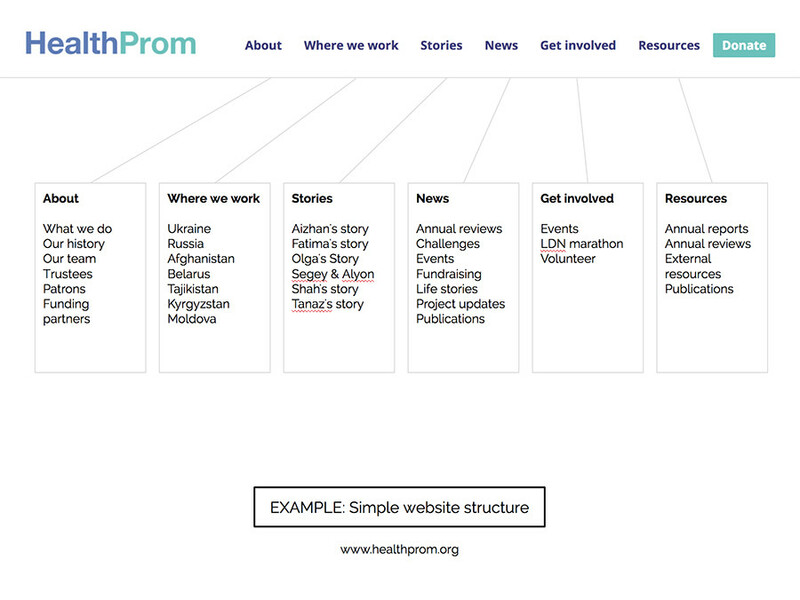 Build partnerships and ask these partner organisations to link to your website and promote your content. Measuring your performance, deriving meaningful analysis and making informed changes is really hard, but you can make progress without getting bogged down in the detail if you follow these four simple guidelines. Your overall website objective should be translated into discrete goals that you can measure. For example, to raise money through the website from individual donations. After 6 months you will be able to say for certain whether or not this has happened and if so, to what extent. With goals defined, specify exactly how you are going to measure them with key performance indicators. These are individual metrics you can track over time. Setting targets may feel arbitrary to begin with as you may have no idea what to expect. Do it anyway though. Even if you’re estimated targets are wildly off you will at least have something to compare the reality against and you can fine tune your targets over time. Review your data no more frequently than monthly. You need time to establish a reliable baseline and to check that everything is being recorded properly. The next step is to analyze this information and draw conclusions. This post was written by Andy Pearson from White Fuse, an integrated website, fundraising and membership platform that helps a growing community of small charities to raise awareness, raise funds and build community through one simple system. Questions? This window is your portal to live online support. We are around, send us a message.